Check out my top tips for travelling with babies and toddlers that I discussed on Newstalk Drive Time and let it help you with your travel plans. Discuss what type of holiday you want with your partner. Many parents book the top family complexes because they think they need to. A kids pool may be all you need. 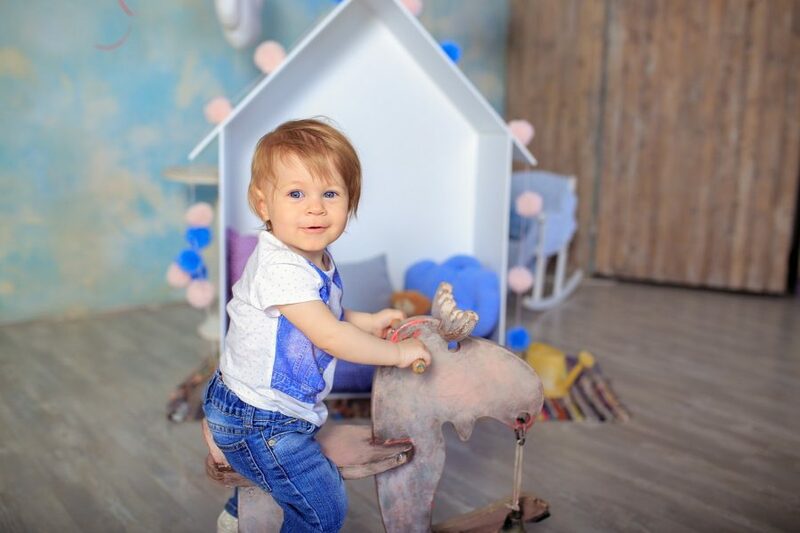 Creches can be handy too but many kids clubs only start at age 3, you will need a specific club that caters for babies and toddlers. If travelling with an infant, ask yourself are you going to leave your baby in a crèche? So many parents don’t even use the facilities on offer. There will be many holidays where you need to book the best family complexes, where slides in the pool and mini discos will be the best part of your child’s holiday but for now, why not take advantage while you can and book a holiday that suits you too! 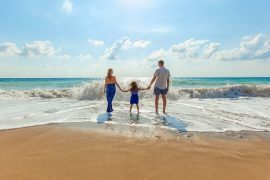 If you want to book a top family complex that caters for babies and toddlers, look at Falcon Holidays’ Holiday Villages or Club Med resorts. These are all inclusive resorts where all meals and drinks are included in the price of your stay. They will also have evening crèche facilities so you can have that ‘date night’! You don’t have to worry about bringing the kitchen sink because most will have baby packs with highchairs and blenders that you can hire. Club Med even have their own baby corner at meal times where you can choose what you want from the buffet and blend it yourself. What ever hotel or apartment you choose, check beforehand what they have available to hire, it may be a lot easier and cheaper than bringing them in your luggage allowance. Don’t travel during school holidays. 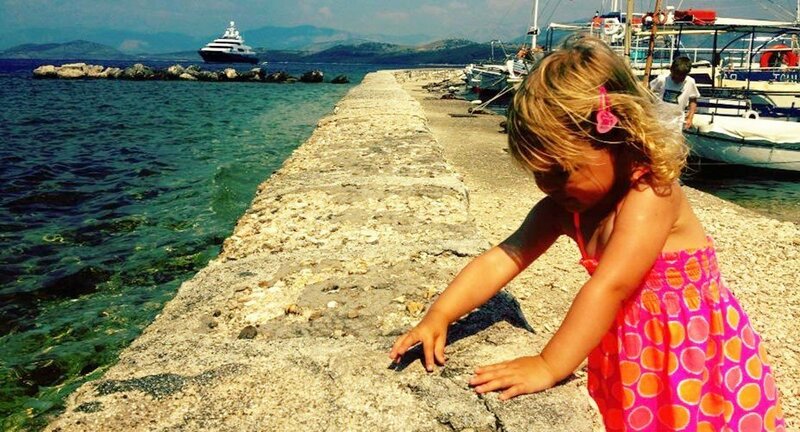 One of the best things about travelling with babies and toddlers is that you can travel at any time! Take advantage of the fact that your child hasn’t started school yet and travel off peak. Not only will you save yourself a lot of money but you should be able to get availability in the best hotels / apartments and should also avoid the crowds. If you want time to sunbathe, book an apartment or hotel close to the beach. Babies and toddlers can entertain themselves for hours with a bucket and spade. If you base yourself a distance from the sea shore, you won’t have to worry about them going into the water. Sitting by the pool with a crawling baby can not only be quite stressful, but you will spend your day jumping up and down from your sun lounger for fear that they will fall into the pool. Don’t be put off by long flights. 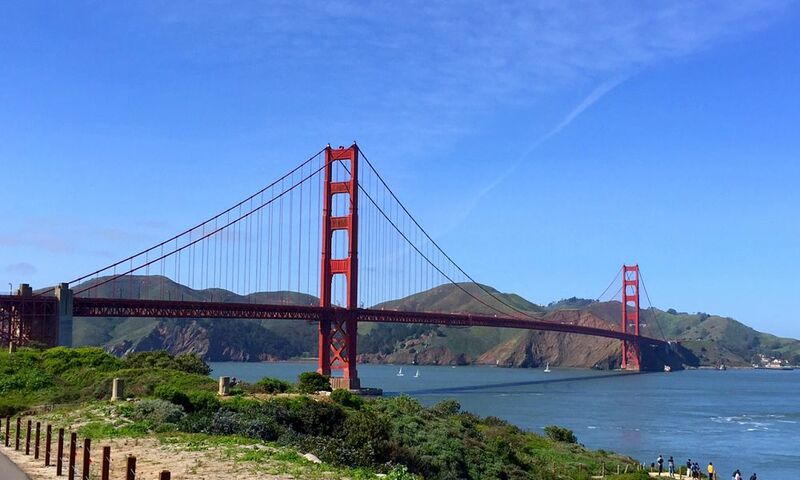 If you are flying to the USA, fly direct where possible. Being able to clear customs in Ireland before you fly is a life saver. There is nothing worse than arriving after a long flight only to queue for 90 minutes to clear customs. We flew via Heathrow to San Francisco last year and we barely made the connection, we literally had to run onto the plane. And although we made the flight, our bags didn’t! We had queued for 90 minutes at customs only to find our bags were not on the carousel! We had no luggage for two days. 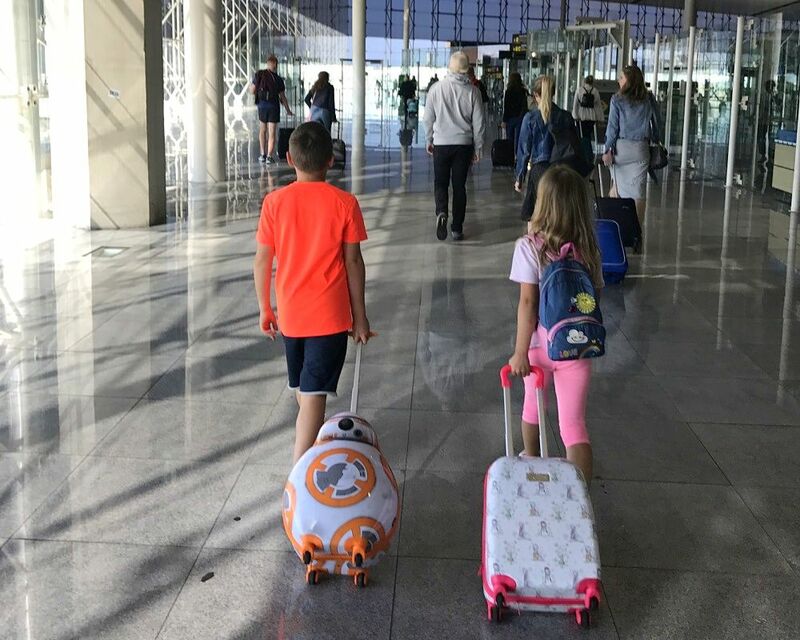 I’m a firm believer that families should fly direct where possible and if you can’t, allow lots of connecting time between flights. Considering you pay approx €20 for flights for babies under 2, some airlines give a very generous baggage allowance. Ryanair allow a 5KG baby bag plus two pieces of baby equipment, a buggy and either a booster seat, a car seat or travel cot. Aer Lingus offer the same, although they state the baby bag must be part of the adults allowance. 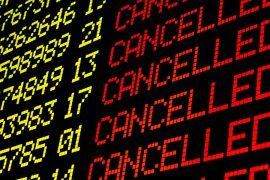 Airlines policies vary but check the luggage allowance before you go. 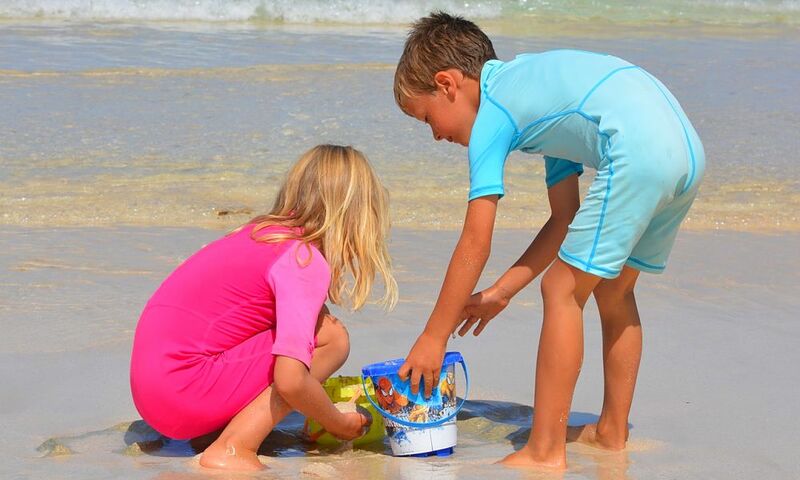 Once your children turn two you have to pay for a seat and so they will be entitled to a 10kg hand luggage allowance as well as a buggy so make use of this too and save on checked luggage charges. Make a list of all things to do/bring and do this in the run up to the holiday and at your leisure. The night before the trip can be fairly hectic and something can be easily overlooked. That way you won’t arrive at your destination, having forgotten something. Maybe a checklist of the most important items you’ve brought that must come home and bring that with you too so you know you won’t leave anything behind. Prepacked formula is your best bet. Babies’ bottles technically don’t fall under the 100ml rule but not all airports, or airport staff for that matter, tend to acknowledge that. You should be ok to bring large bottles through security in Irish airports. They might just ask you to taste it to prove it is formula. However I would always bring empty sterilised bottles and powder dispensers just incase the baby’s bottle is taken from you, particularly for your return journey. You can also bring pre packed formula cartons that are 100ml size. Calpol comes in sachets now too which are much handier for the plane. Bring plenty of supplies for the journey. Change nappies right before you board the plane as the changing facilities on planes are tiny! Bring a change of clothes too, in case of accidents and a blanket to help your baby sleep. When travelling with babies and toddlers, snacks can be a life saver, especially if delayed. Bring more than you think you need, babies always seem to eat more when travelling. Depending on the age of your child, I found the Aquadoodle great, you don’t have to worry about markers destroying your clothes or the airplane and they are suitable from 18 months. A new toy is always a good idea too, something to keep them occupied for a while. If they have a favourite toy that they can not live without (there is usually one bring a second one. If you loose it when abroad it can ruin your trip, having a second one in the bag can be a life saver. There are phone Apps that cater for young kids too and if they are watching TV at that stage you could always download a movie or TV programme that they could watch on a tablet or phone. I have a media share which is a portable device that creates it’s own WiFi network so you can watch movies at any time, on the plane, in restaurants, the car etc and you don’t need WiFi to use it. I don’t travel anywhere without it, but it might be used more with older kids. I think it goes without saying to apply sunscreen regularly, but you should also test it on your baby’s skin before you go, to ensure they don’t break out in a rash. There are sensitive skin creams for babies, I use the Boots ‘Soltan’ sensitive brand normally and find it good. Body suits can be a God send – you don’t have to worry if you missed a spot! 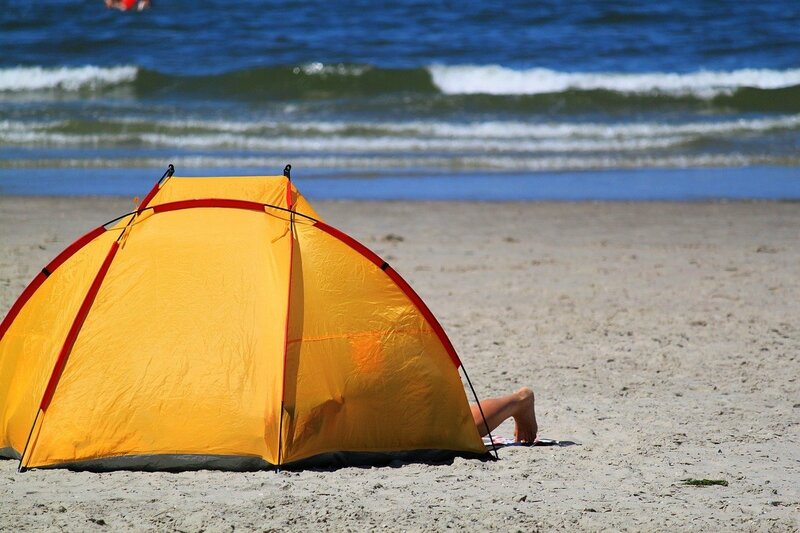 Sun Tents are also a good buy, if you plan on spending a lot of time at the beach. Buy light coloured clothing as dark colours hold the heat more. Bring a few hats and sunglasses – you will lose one or two! Download the Wolfram Sun Exposure Reference App. It will tell you UV forecasts so you can see what time of the day the UV rays will be at their highest, it’s not always midday! Give your children plenty of water to avoid dehydration. If travelling with babies and toddlers during very hot temperatures, always book a hotel or an apartment with air conditioning, and check that it is in the bedrooms too and not just the living room. Hire a white or light coloured car as dark cars hold the heat. This might be a hard task to guarantee so if you can’t get one, buy a cheap windscreen reflector from a local supermarket. Like Travel Tips? See more here! 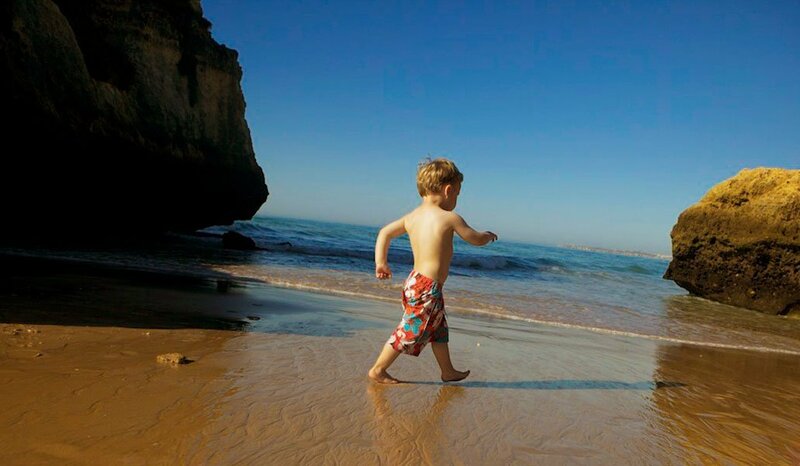 Family Holiday to the Algarve, 20th July, 2 adults & 2 children, 1 week, €1547! 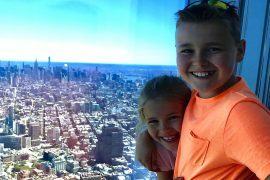 Previous articleChristmas Shopping in New York – Flights & 4* Hotel, 2 Sharing, €597!